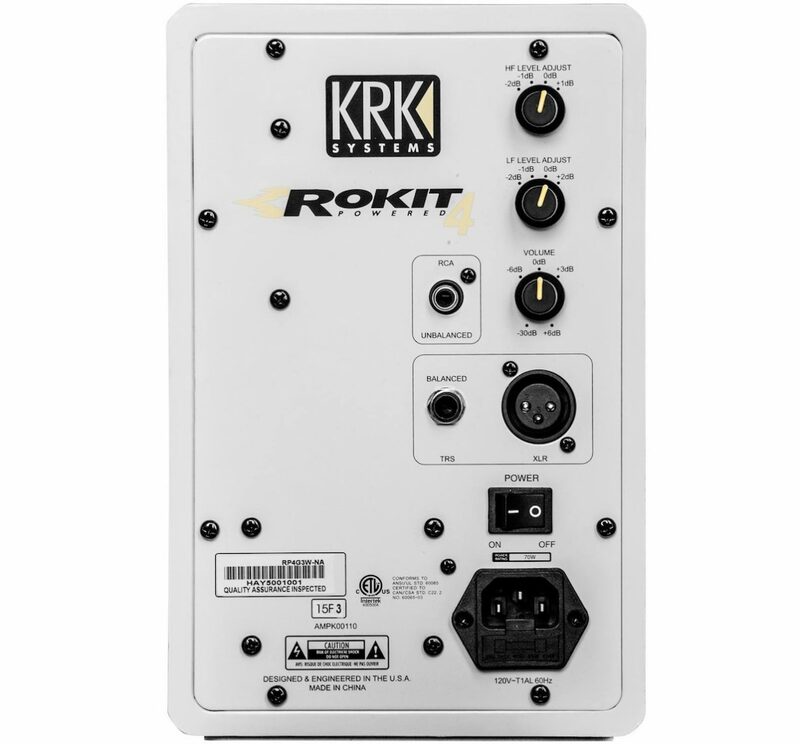 The KRK Rokit 4 G3s are the new, smallest member of the Rokit family. Great looking, well made, fantastic sounding for the price/size, there’s little to fault about the Rokit 4 G3s. If you want to equip a very small home or bedroom studio, they should be right there on your shortlist. Call me shallow, but the second I saw the gloss white finish on these (they come in white, grey or black) I loved them! They are well constructed, not as deep as something like the Tannoy Reveal 402s, but weighty and solid nonetheless. These are individual, bi-amped monitors. That means they have their own power supplies, amplifiers (one each for tweeter and woofer, 10W and 20W respectively), and input controls, and it also means you have a separate lead for “left” and “right” side of the stereo pair of any given input. All of this is in the name of improved sound quality, and is a standard feature of decent monitor speakers, so to be expected here. Once you’ve wired in your source (there are balanced jack and XLR, and unbalanced RCA choices, you can wire them all in at once if you want), positioned the speakers, and set the volume for each speaker, you can tweak the high frequencies and low frequencies slightly to compensate for the room you’re listening to them in, using stepped knob controls (this isn’t meant as bass and treble EQ, more “set and forget” – any EQing is meant to happen before the signal reaches your monitors, eg on your DJ controller or mixer). The rear of the monitor, showing the volume, HF/LF tweak controls, inputs, on/off switch and power socket. To get the best out of these monitors, you need to position them correctly, in a triangle with your head/ears as the third point, and with the tweeters roughly level with your ears. Once you’ve done this and attenuated or boosted the lows and highs to suit your space, you’re getting the best from them. And their best is really very good. While lacking the sheer volume/punch in the bass area of bigger speakers (of course, it’s inevitable), the front bass port and solid cabinet ensure the bass you do get is taut and clean, and in fact, for a small studio or room you’ll find it to be enough. That said, you can always add a subwoofer (KRK have several) if you still feel you need more. As far as the mids and highs go, the mids are revealing while remaining smooth, and the highs are to my ears just slightly tailed off while still containing all the detail you need (remember, you can adjust to suit your room with those fine tune controls). This bodes well for extended listening. 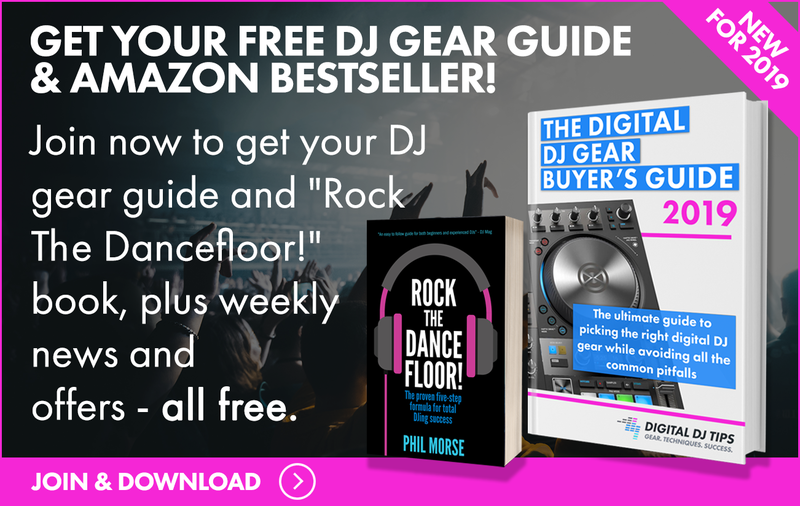 Overall, I think they delivered a true, flat sound that means you could trust them not only for DJing but also for mixing down your first productions on, too. At this price and this size of speaker, that’s pretty impressive. Finally, they have a useful “standby” feature that powers them down when they’re not playing, only to jump back into life when they receive a signal, which is a nice touch (the little “KRK” light on the front goes off to let you know). 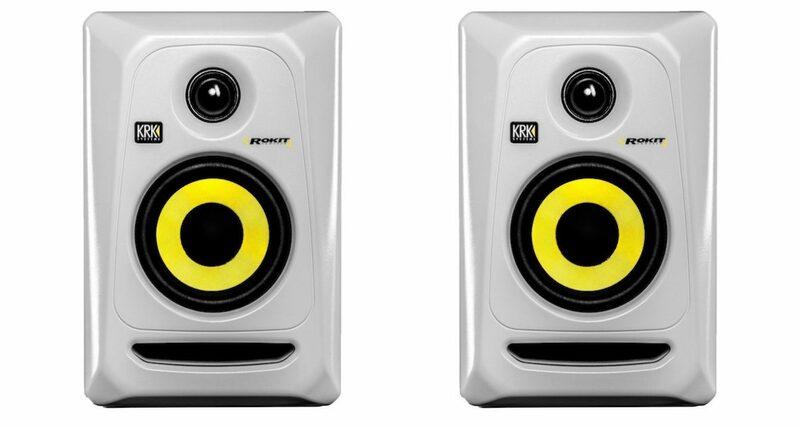 Well constructed, with the iconic KRK yellow tweeter, they’re good looking – especially, we thought, in gloss white! 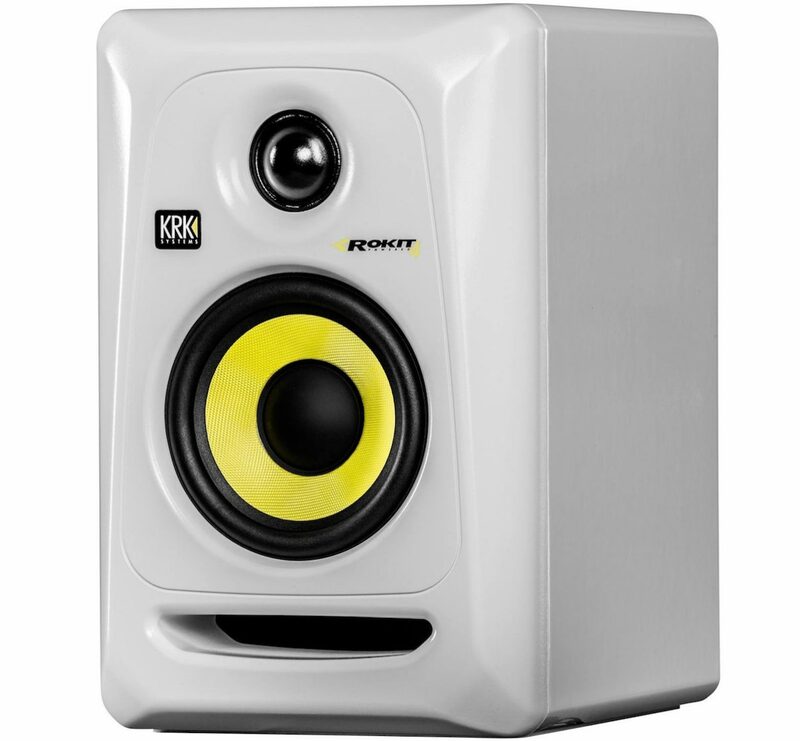 KRK Rokits are justifiably popular among DJs and DJ/producers, and with the Rokit 4 G3s, the company has offered those of us who have small studios, bedroom studios, or need something truly portable an option that didn’t exist in the range before. They sound great for the size and price, they’re the “real deal” (bi-amped, independent) – and did I mention they look great, especially in gloss white? Well built, attractive, good sounding, and with nice rubber bases keeping them solid on your desk, there’s not much to fault here. In fact, we loved ’em!